Nestled in Todi Mills is a door that says, "Wizards Welcome. Muggles Tolerated." Above this is a life-size action figure of Spiderman dangling down the wall. When you enter, you're in another place. The Entertainment Store, which had its first shop in Bandra, has expanded to Lower Parel, and this time, you have a lot more choice, given the size of the store. 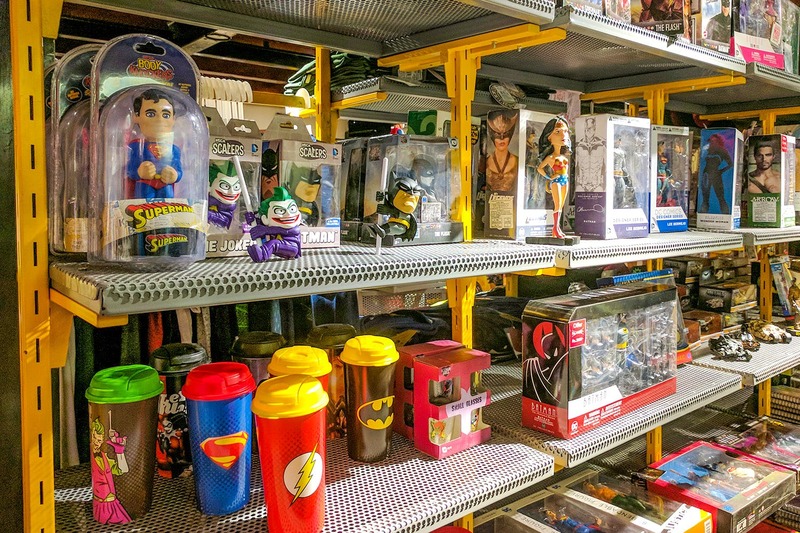 Well, if you have collectables from Asterix, Tintin, DC, Marvel, GoT, and Harry Potter just to name a few things, what is there that isn't awesome? You get a lightsaber that makes all the sounds too for INR 21,000, but that's because it's a collectable. Tintin figurines start as low as INR 599, while you can also get larger action figures for anything between INR 899 to INR 19,999. Apart from this, if you're a rick & Morty fan, there's a separate collection just for that, and other sitcoms. If you're thinking of gifting your kid/nephew/niece/grandchild, you're sure to find something that they'll love. Not just that, there's enough here to make you want to empty your bank balance, especially the collectibles that are right near the door, where each piece is a showstopper. Don't forget to take pictures of the stained glass that has Wonder Woman, Deadpool, Batman, and the Joker, as well as the bust of Batman, assaulting the Joker, and Superman and Doomsday battling it to the death. The comic book section is located on the mezzanine floor, which people tend to ignore because of the choice they have on the lower floor. We'd also love to see more singles instead of the 500-page collector's items.